The Viking 82 Cockpit Motor Yacht provides a seamless transition from a luxurious, high-performance cruiser to a blue-water yacht fisherman creating the ideal platform for tournament fishing one day and heading on a three week vacation the next. With the cockpit space of a large convertible, the 82 CMY has the real estate you and your comrades will need to fish all day long. There's plenty of room for relaxing, too, in this versatile deck design that features an observation mezzanine and aft-deck dinette with U-shaped settee. The all new 82 Cockpit Motor Yacht promises to answer the calling from the boater who wants to do it all and won’t settle or compromise. 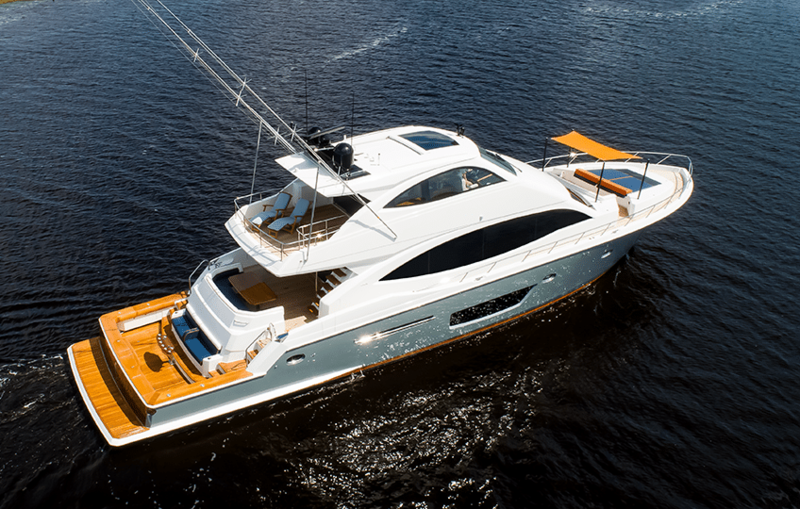 If you’re looking for the capabilities to go tournament fishing, could use some serious added storage and refrigeration for provisions and water toys ,or all of the above, Viking has you covered in a World Class 82 Cockpit Motor Yacht. 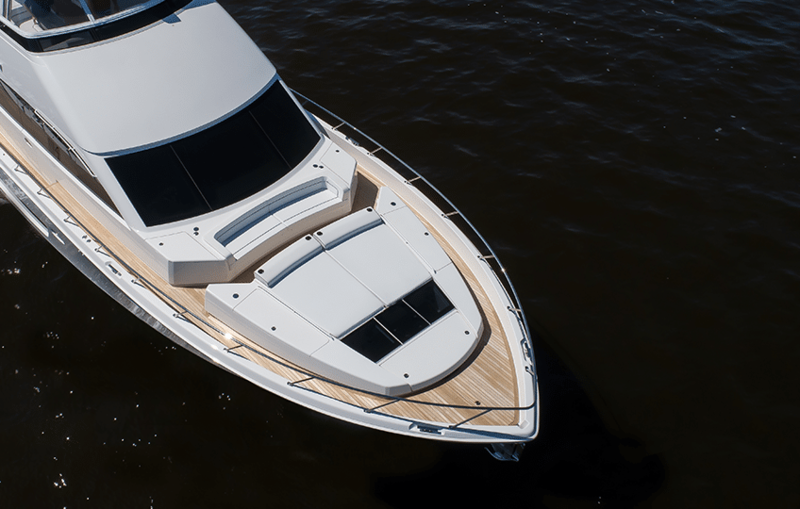 With a full 108 square feet cockpit to work with, this model has everything needed to make a memorable day on the water. Available in both an open or enclosed flybridge layout with two distinct galley configurations, it’s easy to make this one your own. 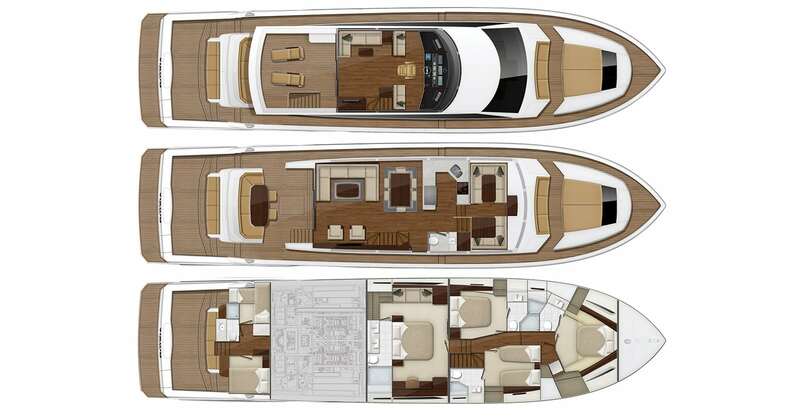 With a total of six staterooms and heads that include private aft crew’s quarters for three, the 82 CMY is built to accommodate as well as perform on the open water. Forward of the salon, passengers can gain access to the stateroom entryway, or pause to enjoy the wonderful views from one of the roomy sofa style dinettes. Within arm’s reach is a generous galley outfitted with the highest grade appliances such as a full size Viking refrigerator beautifully incorporated in hand-crafted walnut high gloss or satin cabinetry. Both owners and captains will appreciate the full separation, and private entry to the crew quarters from the aft deck. Crew members are accommodated in quarters with separate staterooms for the Captain and mates including a comfortable common area with an ensuite food prep area and a full size head with stand up shower. A watertight bulkhead door to the engine room provides quick access for the captain to keep an eye on the mechanical systems. There are so many spaces on this yacht where one can relax and enjoy nature’s surroundings. 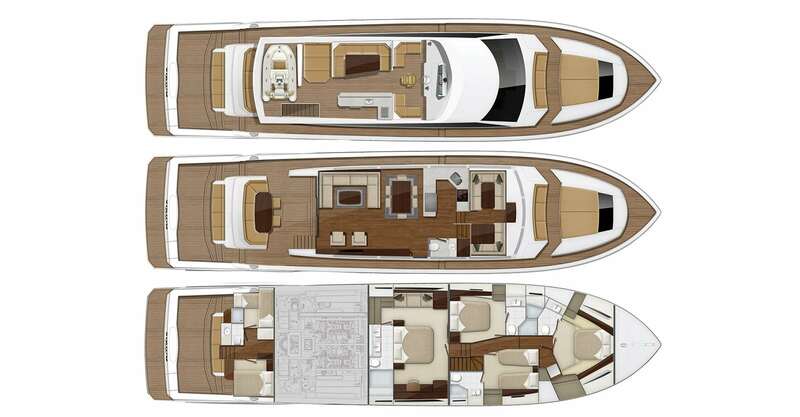 From the large Aft Cockpit with roomy lounge seating, a table and retractable awning, to the upper Aft Sundeck with teak lounge chairs and wet bar or the luxurious seating area and oversized adjustable sun pads located on the Foredeck. The choice is yours. Contact a Galati Viking Specialist Today!